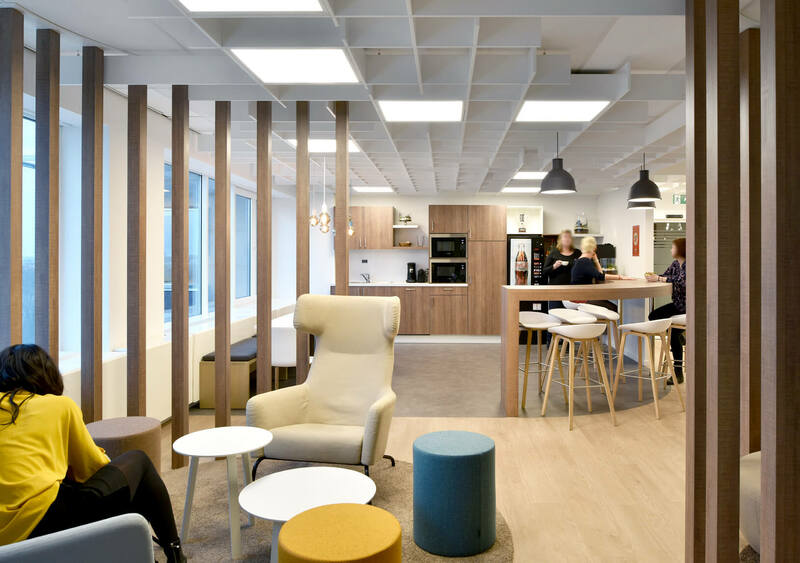 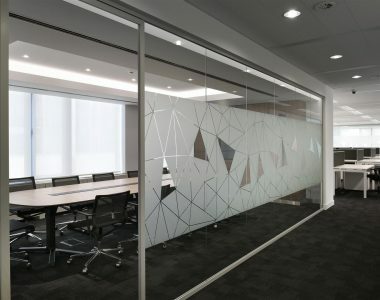 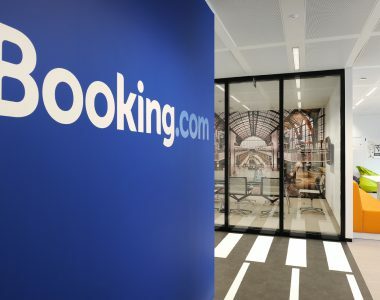 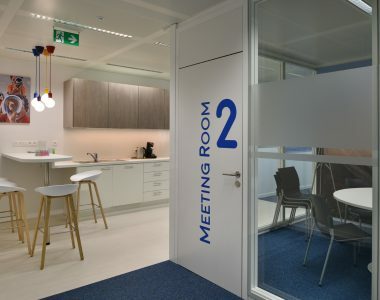 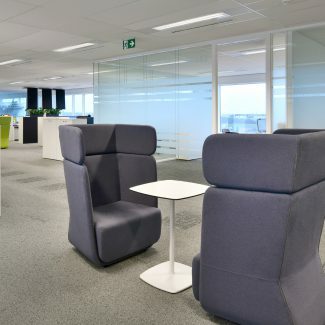 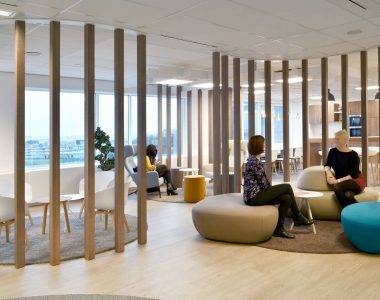 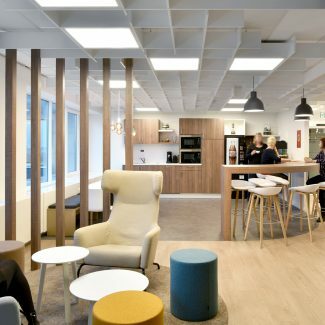 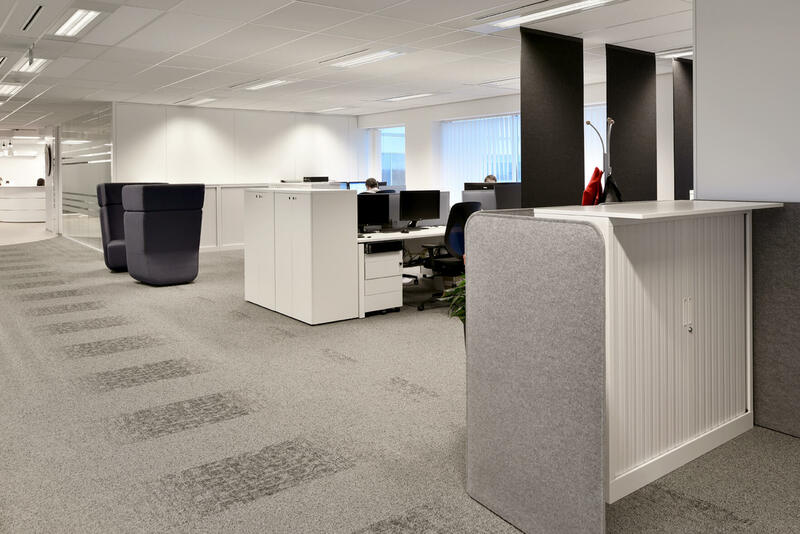 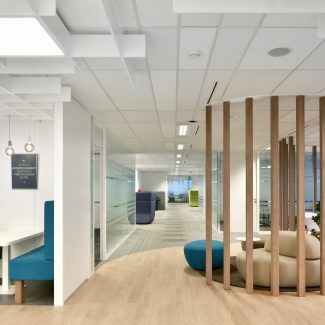 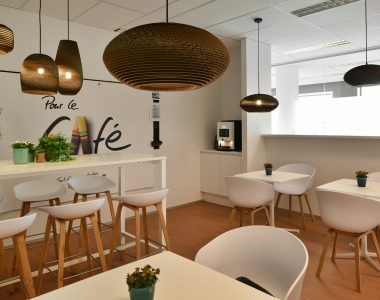 Tetris Belgium designed and created new offices for SUEZ Consulting/PMO, which is located in the outskirts of Brussels. 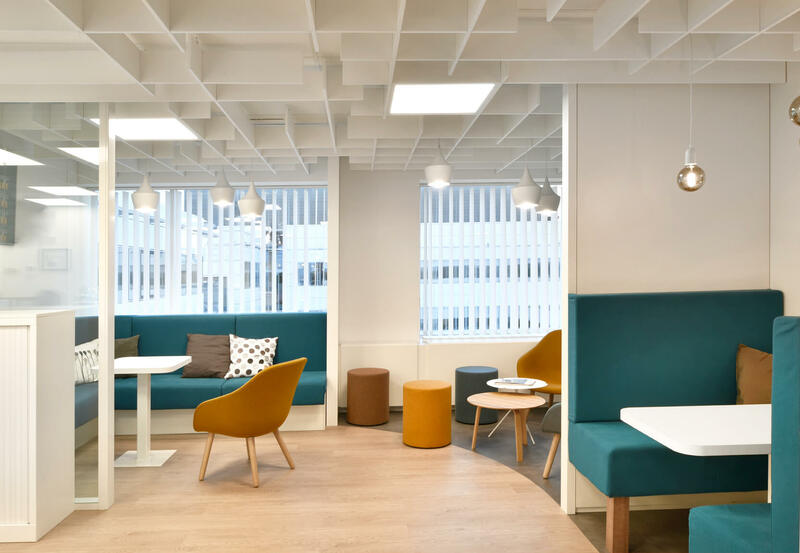 Whilst the previous offices were on two floors and highly partitioned, the brief was to create an open, airy, welcoming and pleasant place to work. 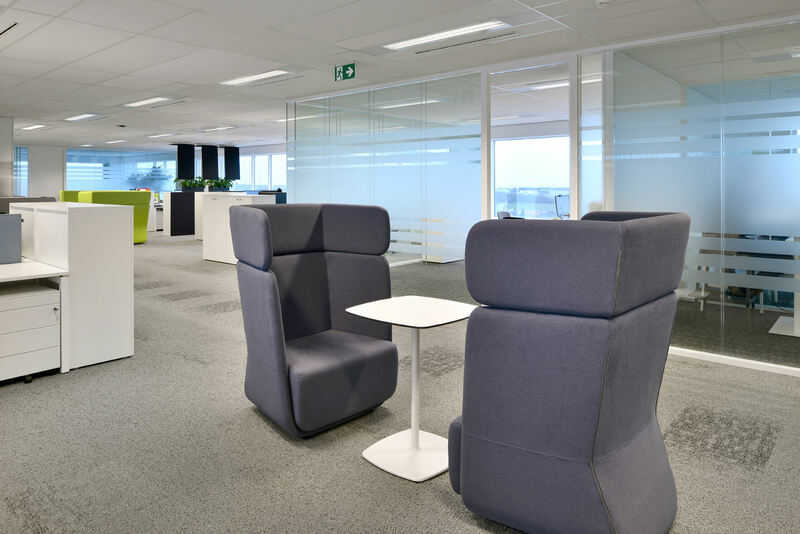 Tetris opted for a multi-functional and mixed entrance for visitors and employees. 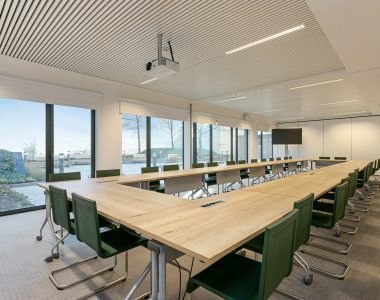 It is divided between the visitor reception, the public cafeteria and a variety of informal spaces, which are more or less partitioned. 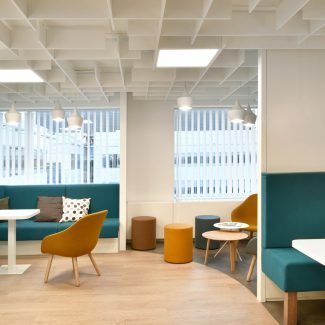 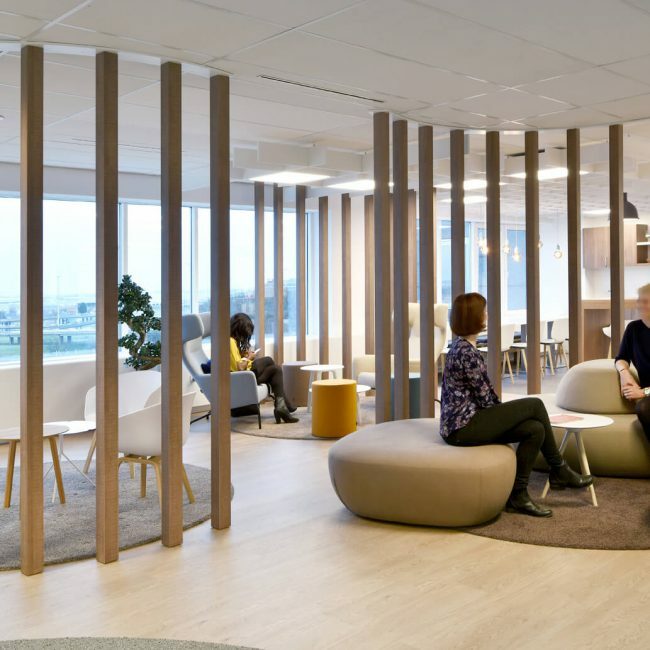 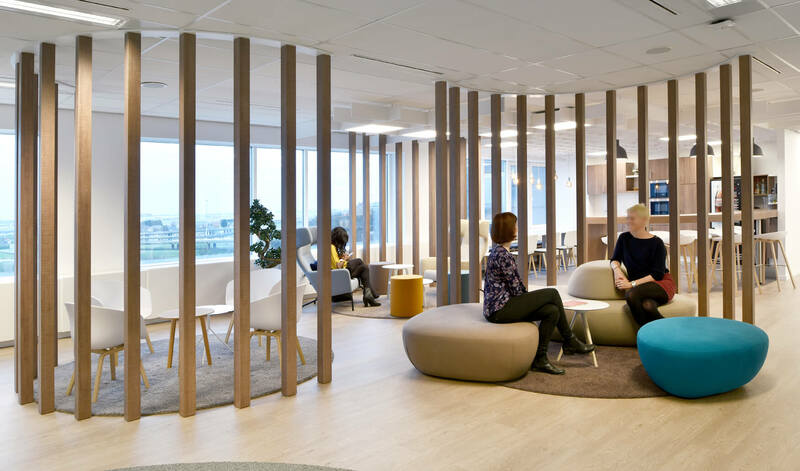 These informal spaces can be used as both waiting areas and meeting rooms, as needed. 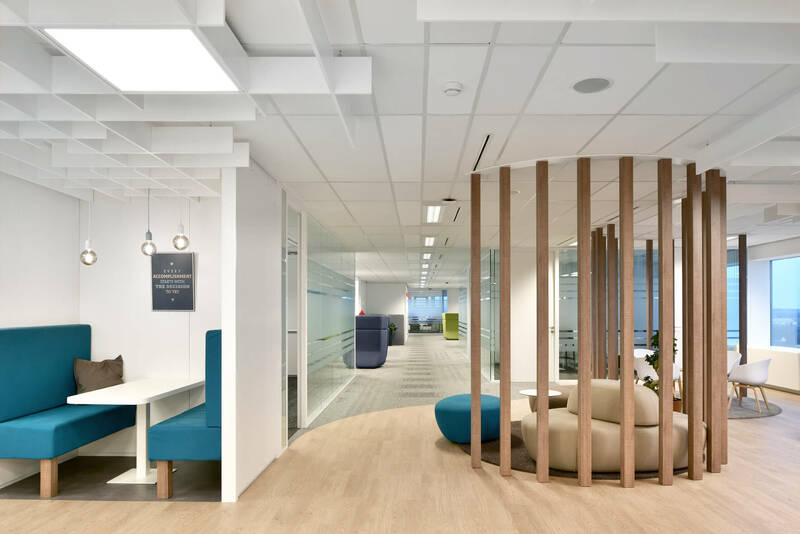 This lively and varied entrance is separated from the open space (a space for concentration) by meeting rooms and closed offices. 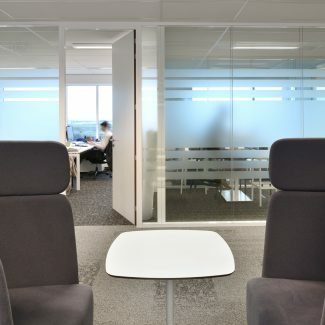 There are also bubbles in the open space which give employees privacy for telephone calls or informal interviews. 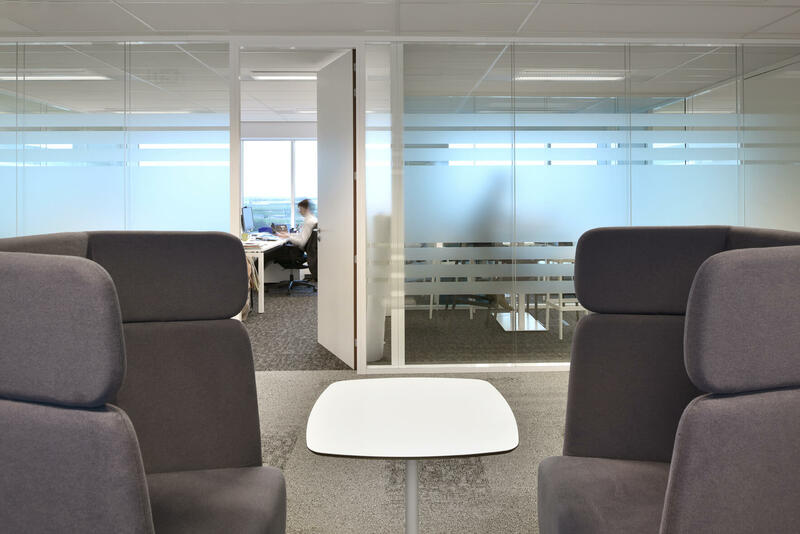 The employees moved in to the new offices over a year ago, and they have quickly adapted to these different working zones. 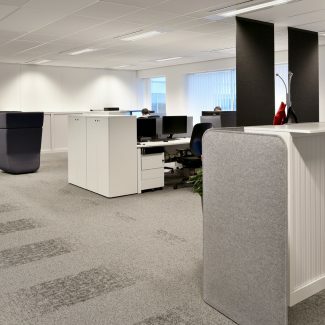 The implementation of the new technology has encouraged this change in working method.